QR Code Reader and Barcode Scanner is the fastest QR code reader or QR code scanner and barcode scanner. 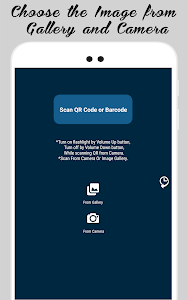 QR code scanner is indeed an essential app for almost every Android user. 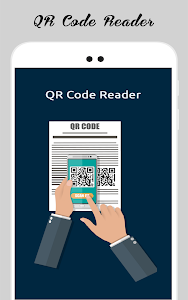 QR code reader is an app that everyone must have on their Android device as it makes it much easier to scan QR code and read the barcode/ QR code formats such as ISBN, URL, product, web page, text, e-mail, contact, or any other information behind the QR code. This way you can save yourself the trouble of the traditional manual searching because now you have a way to get the instant results. Money doesn’t come very easy, and most of us know that better than others. That is why we would like to save whenever and wherever possible by getting discounts in order to help stretch our budget. Keeping this in mind, we have come up with this wonderful QR code reader and scanner app. 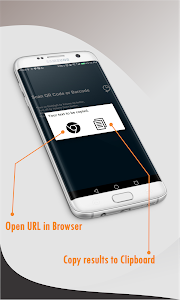 The working of this Free QR Code Reader and Barcode Scanner is very simple; you can use it on your mobile or any other Android device. The camera of your device will read and scan the QR code. Using front or back camera, just take a nice shot of the QR code, and the app will process it for you. 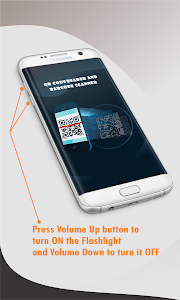 You can also use the mobile torchlight to get a clearer image with this barcode scanner. Easy, isn’t it? The good thing is the app is so simple that you need not be a techie to navigate its features. 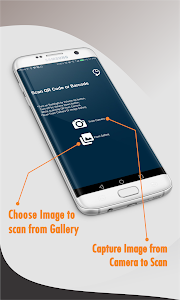 Another interesting feature of this barcode scanner is that it also works as the best QR code reader and QR code scanner for any QR code image saved in the image gallery or library of your device. It will scan QR code, and automatically decode the information and display it to you. Then, if the result is digits, you can copy and paste the digits in the search engine to fetch the details. If the information is a particular URL, then you can open it in your browser by just clicking on the link. In this digital age, smart shopping is definitely a thing. Now you can use this easy-peasy QR code reader and scanner while shopping to scan QR code. This allows you to compare different prices. QR code reader or barcode scanner can also help you in comparing the prices on actual stores with the prices given on similar stores that you can find online. Comparison of prices can often lead you to some pretty good deals. Free QR Code Reader and Barcode Scanner is accurate, convenient, and it delivers you the instant results. It comes in very handy especially when you need to locate a product that you have, but you can no longer recall where you bought it. No doubt, this excellent QR code reader will make your life easier. The wait is over! 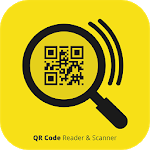 Download/install Free QR Code Reader and Barcode Scanner app, NOW. We are sure that soon you will feel that this is the only QR code scanner that you ever need on your Android device. If you like our QR code scanner, we would appreciate if you will give us five stars and also, share it you’re your friends and family so that they too can benefit from it. We look forward to your feedback. If you like our QR code reader, don’t forget to rate and review us. You can write your comments, suggestions, or feedback in the review section when rating the app. 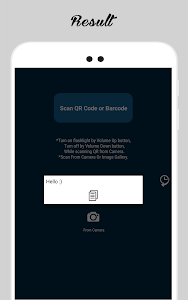 This will greatly help us in improving this simple QR code scanner app to give you a more reliable and better user experience whenever you use our barcode scanner app. 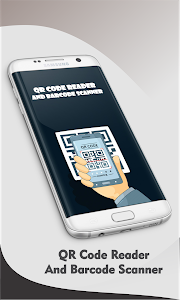 Similar to "Qr Code Reader and Scanner - Barcode scanner"